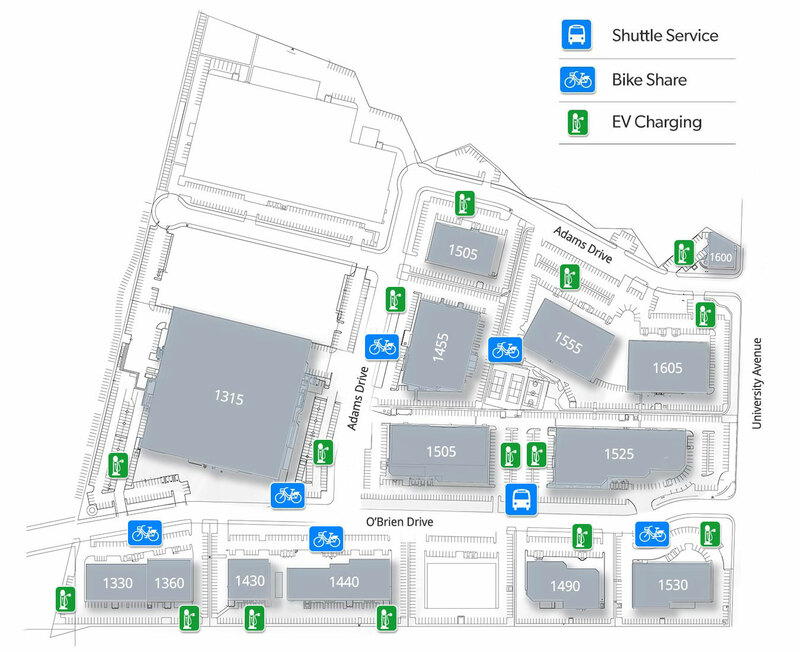 The Menlo Park Rides green initiative features bike share, shuttle service, car share, and convenient electric car charging stations throughout the Menlo Park Labs campus. All services are provided by Tarlton Properties for the exclusive use of the Menlo Park Labs tenants and their employees. 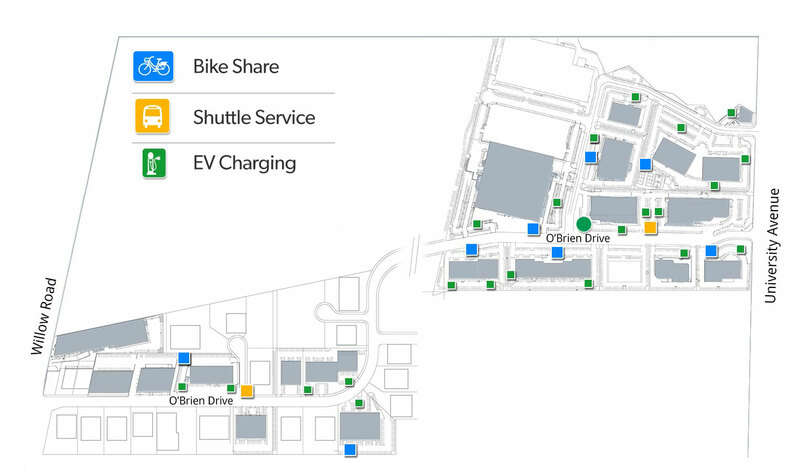 In addition to reducing emissions, parking demand and traffic to and inside the campus, the initiatives make commuting a more pleasant experience.